It was something people had been wanting, but Vudu didn’t have an Apple TV app at the time and it didn’t make that much sense to revolve your digital movie library around a service that was the most likely to be shutdown, among the top services. 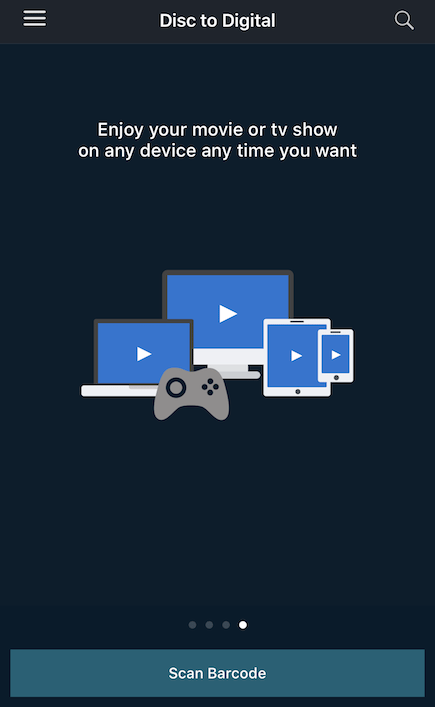 Now, with Movies Anywhere, the app/service which connects iTunes movies, Google Play, Amazon, and Vudu together, it doesn’t matter where you get your movies, they show up on all services. Open the Vudu app, select Disc To Digital, follow the instructions, and scan the barcodes. The converting price should be $2 for SD and $5 for HD–since you presumably already bought the movie once, you’re just paying to “convert” it. I tried it and it works great with the movies it finds. There are a few caveats, however. A few of the movies I scanned, like When Harry Met Sally on Blu-ray, weren’t found. I scanned and paid for 3 movies, but only 2 out of the 3 showed up across all the different services. Almost Famous was the one that only shows up in Vudu, but not in Movies Anywhere or anywhere else. If you’re curious, the way it works is by identifying where you live and then using GPS to ensure you’re home when scanning barcodes.